Why Use A Garmin Approach GPS Golf Watch? Which Garmin Approach Golf GPS is best for your game? If you want to up your game, take away the guesswork and plan for the next hole ahead, then a GPS golf watch can take you from golfing novice to pro in no time at all. Click here to see the full Garmin Approach golf GPS range. A golf GPS watch is just like having your own course caddie. It is always on hand to provide useful tips; there to ensure that you are always on par; can guide you effortlessly past hazards and doglegs and even keeps track of your score. But, with so many makes, models and styles on the market choosing the right golf GPS watch for your game can, at times, feel daunting. Our independent golf GPS buyers review is here to guide you through the features and pros and cons of some of the most advanced watches on the market. From top end to budget buys, we’ll show you the best that Garmin has to offer. The Garmin Approach S20 is a mid-range golf watch, packing in all the best features found in the Approach series. It contains precise distances to the front, back and middle of the green, as well as hazards. 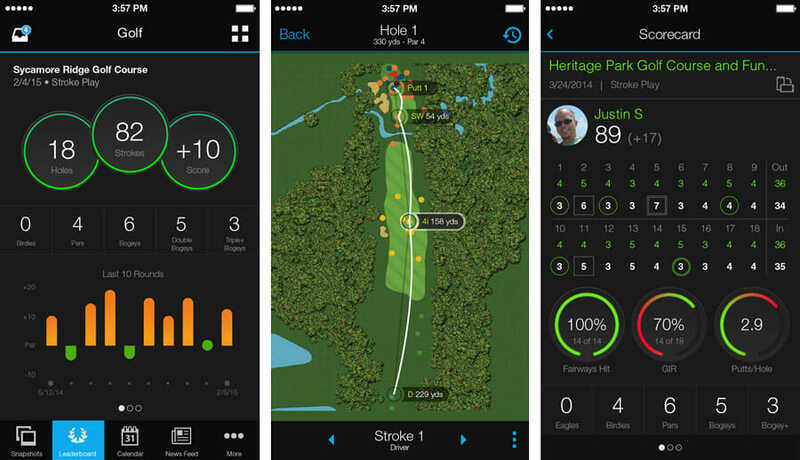 Using the Garmin Connect Golf App you can analyze the location and distance of every shot. Featuring more than 40,000 pre-loaded courses, whether you are playing at a local golf club or teeing off at one of the top courses in the world, it can guide you seamlessly from hole to hole. The Approach S20 has loads of great features such as the AutoShot function which automatically records the location and distance of every shot. 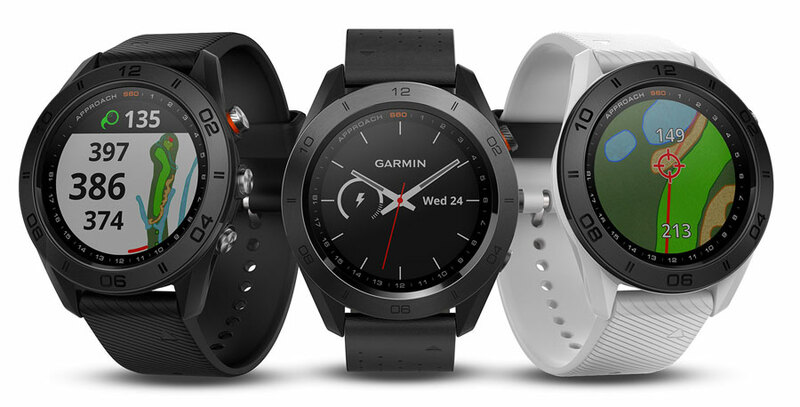 Like many other Garmin watches smart notifications are also included. 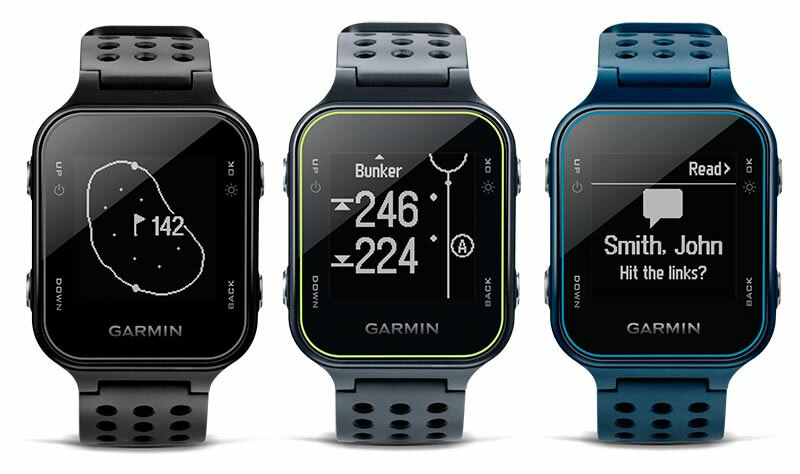 The Garmin Approach S20 may not have as many features as some of the more expensive watches but, it is a great option for regular golfers who require multiple course features and a super long-lasting battery. 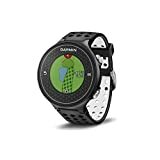 It is accurate, has an easy to understand graphical user face, looks similar to the Apple watch design and is compatible with Garmin’s golf watch technology and online community. Garmin’s top of the range GPS golf watch, the Approach S60, is stylish, sophisticated and teeming with impressive features. Following hot on the back of the Approach S20’s success, its advanced attributes ensure that you have everything ‘on hand’ to navigate around even the trickiest of golf courses, and it fitness tracking features allow it to be used all day long. This multi-sport smartwatch is the most sophisticated on the market, comes with over 40,000 preloaded international courses and can show exact yardages to greens, hazards and doglegs on its large color touch screen. The only thing missing from this ‘all singing all dancing’ watch is a heart rate monitor. There is no other GPS golf watch currently on the market to rival the Garmin Approach S60. This stylish wearable includes some of the most sophisticated golf features available and can also be used as an activity tracker. Although commanding a rather hefty price tag, this feature-packed watch will not disappoint even the most experienced golfer. The Garmin Approach X40 is a slimmer, sleeker version of the Garmin Approach S6. 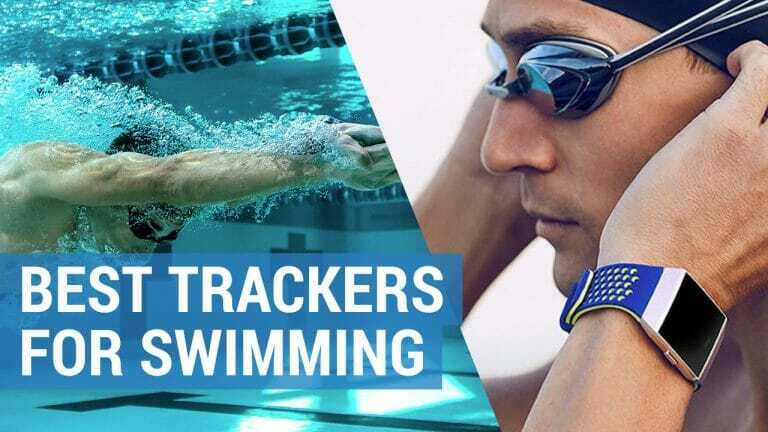 Although it looks modest in comparison to other watches, it is loaded with fancy features for activity tracking, measuring precise distances on the course and even monitoring your heart rate. The AutoShot game tracker feature can automatically track shots along the fairway and measures distances for post-round analysis on the Garmin Connect app. 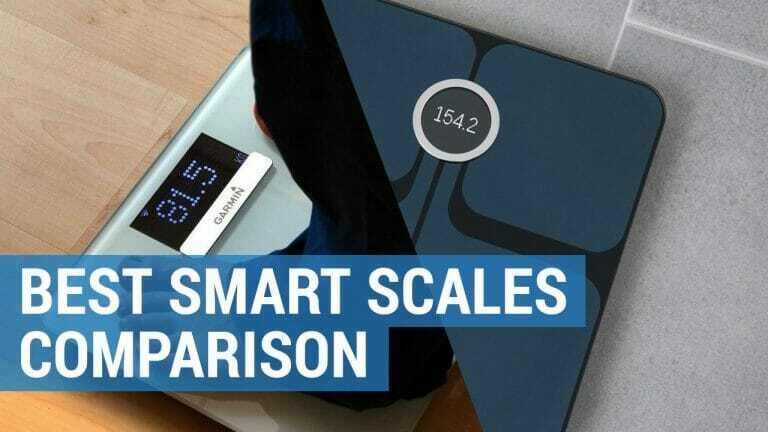 Doubling as an advanced activity tracker it includes an optical wrist heart rate monitor and smartphone notifications, to help keep you updated and able to maintain a healthier lifestyle. If golf isn’t your only pastime or you are looking to enjoy a more active lifestyle, then the Garmin Approach X40 offers you the best of both worlds. A GPS and activity tracker in one, this watch need never leave your wrist. Displaying accurate yardage, distances to hazards and with a relatively long battery life, there’s a lot to love about this little watch. Garmin’s Approach S6 GPS golf watch not only keeps track of your stats and scores but provides you with a birds-eye view of over international 40,000 courses. It can also measure your swing tempo and alerts you to any hazards and lay-ups. From tee to pin and everything in between, this watch shows you the details and layout of the entire hole during your approach. Packed full of impressive new feature, this high-end golf GPS watch with color touch screen, has a first-of-its-kind Swing Metrics device for comprehensive training and analysis. Simple to use the Garmin Approach S6 is top of its game. You certainly get what you pay for with the Garmin Approach S6. An expensive purchase, it’s packed-full of unrivalled features that do so much more than just calculate distances. 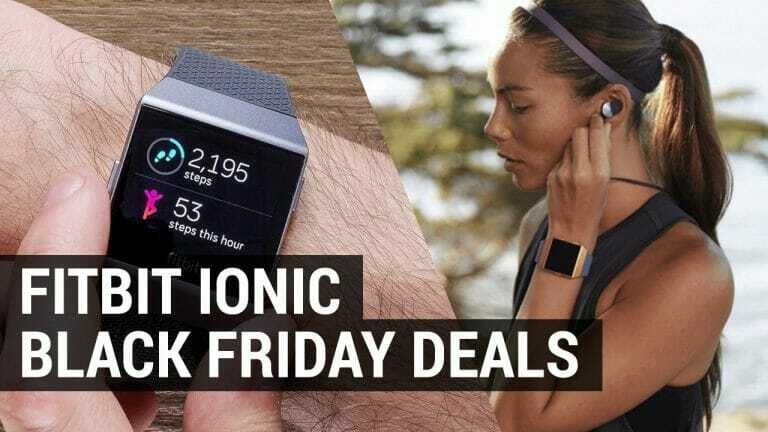 From its color touch screen display to its swing strength, tempo training and text and email alerts, this watch is the perfect course companion. So, if you want to stay ahead of the game – and the competition – then the Garmin Approach S6 is the watch to wear. Loaded with over 40,000 international courses and free lifetime course updates, the stylish Garmin Approach S4 is lightweight, comfortable and precise with a GPS receiver for yardage to the front, back and middle of greens. Superseding the Approach S3, the S4 has a dedicated Green View button with manual pin positioning, longer battery life, additional statistics and smartphone notifications that let you know when you have received emails, texts and alerts. It has yet to include the hazard features but does provide distances to layups and doglegs. The Garmin Approach S4 does come with a hefty price tag, but it is well justified thanks to its additional features. Although it is full of high tech attributes, this watch is easy to use, navigate and calculates precise distances accurately. This watch comes highly recommended. Garmin’s latest golfing addition to its magnificent watch line up, is the simple yet stylish Approach X10. They say great things come in small packages and this intuitive watch is no exception. Aimed specifically at golf novices this watch has an easy-to-read touchscreen display that shows precise distances to greens and can guide you past hazards and doglegs with ease. Preloaded with over 40,000 courses, this watch is lightweight, compact and comes with an affordable price tag. The Garmin Approach X10 is great for golfing beginners. What it lacks in functionality it more than makes up for in affordability, making this one of Garmin’s most accessible golfing watches to date. So, if you want to learn to impress whilst out on the course, the Garmin Approach X10 is worth a purchase. It doesn’t matter how experienced you are or how low your handicap, with a golf GPS watch you have the ability and know how to improve your game and play each round with confidence. Garmin are at the forefront of technology when it comes to golf GPS watches. Taking the guesswork out of your game, their range of approach watches can accurately calculate yardages, avoid hazards and doglegs and keep track of score, saving you precious time that can otherwise be spent celebrating your win at the clubhouse. The best golf watch for you is largely dependent on how much you want to spend. The bigger the budget, the more sophisticated the features. 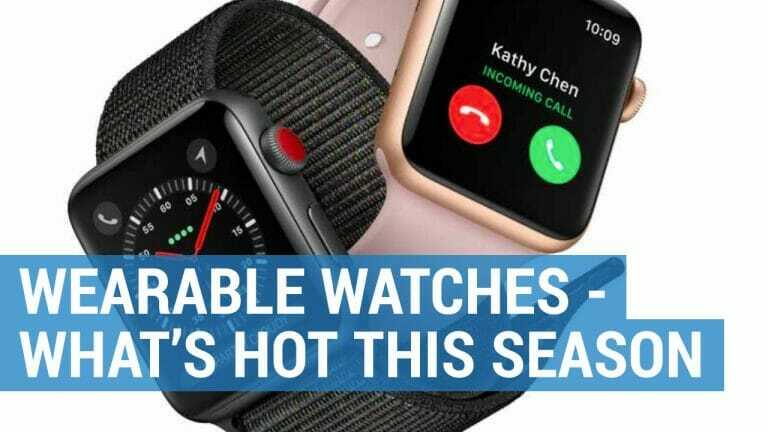 But don’t feel deflated if you have a little less to spend, as even the most economical Garmin GPS golf watches will enable you to speed up your game, steer the ball closer and ultimately lower your score. As Ben Hogan most famously said “the most important shot in golf is the next one” and with a GPS golf watch, you can always be one hole ahead. Garmin golf watches offer a range of benefits to help improve your game. One glance at your wrist from any point on the course is all it takes to get yardages to the front, middle and back of green. All Garmin watches have clear, easy-to-read numbering so you can easily see your stats. They all have an intuitive user interface with automatic course detection and hole transitioning. A dedicated CourseView button displays exact distances and layout of the entire hole, including tee box, fairway and green. 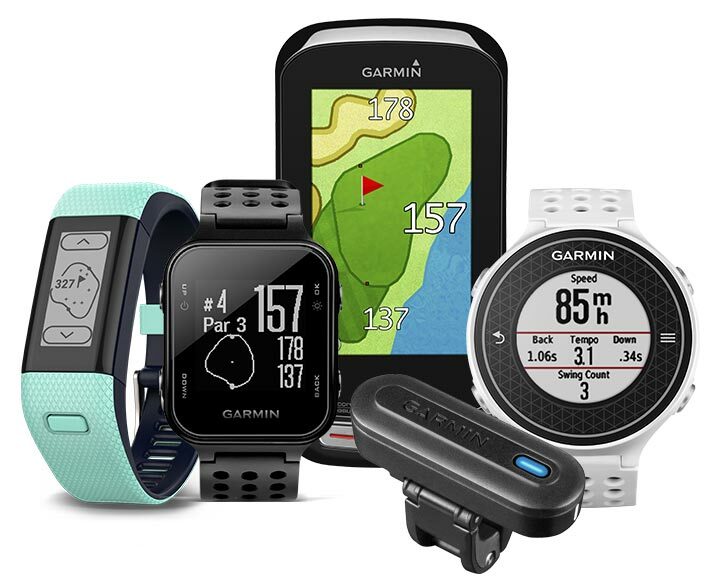 Garmin golf watches are preloaded with over 40,000 international courses with FREE lifetime course updates and no extra fees or subscriptions. You can upload and review your score and stats to Garmin Connect Mobile for Golf for when you’re on the go. Garmin golf watches calculate exact yardages for shots played anywhere on the course and enable you to keep your individual score. You can keep score for individual players. Save, review and print scorecards from your home computer or upload to the Garmin Connect golf app. Layup distances show you the yardages you need, and you can see distances to doglegs too. With Garmin Connect Golf, Approach owners can now view their scorecards and golf stats from their watches and handhelds online. Users can upload, analyse and share their course data, and see hole-by-hole details to understand their own trends and tendencies to improve their game. Hole by hole details for your favourite courses so you can see where to improve your game. View your Dream Score on each course. Dream Score is what you would score if you hit your best score from each individual hole all in one round. View and share your scorecards. See fairways hit, greens in regulation, and number of putts. Keep track of whom you’ve played against and who won each round, plus, view shot distance (listed for each hole). Track your progress over time: track your longest shots, view your average score, average score by par, overall fairway hit percentage, overall greens in regulation, percentage and average number of putts.